Tomorrow, a series of new workshops in Adelaide will help principals drive a culture of high performance in their schools. The new workshops, developed by Principals Australia Institute (PAI) and Educator Impact (EI), address a range of key areas that are crucial to improving teaching and learning in schools. One of them, the Driving Performance Workshop, enables school leaders to promote and sustain quality team performance – an area that is becoming increasingly important for schools to manage amid the strong focus on collaboration. 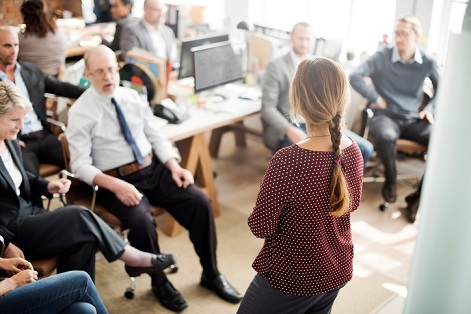 PAI CEO, Paul Geyer said that while having high quality staff is critical in driving high-performing schools, most principals rely on traditional performance appraisal methods that often do not result in better teaching or school quality. “The Driving Performance Workshops will help school leaders to encourage and reward high-performance, as well as effectively manage underperformance,” Geyer told The Educator. The workshop is facilitated by Dom Thurbon, an internationally engaged researcher, thought leader and speaker in the fields of innovation, change and education leadership. Thurbon directs a team of over 120 staff delivering behaviour change and education programs across Australia, New Zealand, the United States and Canada, reaching over 750,000 students in more than 3,000 schools each year. “At Educator Impact, Dom has pioneered the use of data-driven approaches to teacher professional development and learning, and works with school leaders to bring cultures of feedback and performance to life,” Geyer said. Geyer said that through its relationships and connections across the education sector, PAI assists school leaders to achieve the best possible outcomes for themselves, their staff and their students, through ongoing professional development services and learning. “The business of running schools is more complex than ever before, so having sound financial management strategies and planning well, means they can lead better school outcomes and performance at many levels,” he said. EI CEO, Ken Wallace highlighted some of the professional development opportunities that educators can expect to gain from attending the workshops. “Educators will get to understand what performance development is and how it fits into creating high performing teams,” Wallace told The Educator. Wallace said the workshops will provide an opportunity for educators to share real life stories with other principals about school challenges in professional development for teachers and support staff. In terms of the PD opportunities most needed for principals to thrive in their role, Wallace pointed to the importance of developing staff capability and creating a culture of continual improvement. “Equipping leaders with the skills, tools, and confidence to drive changes in this area are critical for principals,” Wallace said.